The Municipal Auditorium & City Hall located at 201 N 4th Street in Leoti was constructed as a WPA project using local labor between the years 1939 and 1942. This rectangular, one-story limestone building is significant locally for housing city government offices, the Leoti fire department and auditorium. It is also significant socially in providing meeting spaces for civic organizations such as the American Legion, Girl Scouts, Brownies, Cub Scouts, and Boy Scouts. Constructed in 1887 for the "Great Bend Extension" on the Atchison, Topeka, and Santa Fe Railroad, the Selkirk Well is a hand-dug well measuring 24 feet in diameter and 120 feet deep. The well is rock lined to the bottom with rails placed at intervals for stability. It was constructed to be part of the Santa Fe line on its way to Denver, however the line was never completed and stopped in Selkirk. The Missouri Pacific line ran parallel to the Santa Fe line between Scott City and Selkirk, which forced the abandonment of the Santa Fe line in 1896. In 1898 the Santa Fe line tracks were removed, thus ending the need for the well. The Selkirk Well was nominated for its contribution to the growth of Wichita County and is now a source for tourism in Western Kansas. 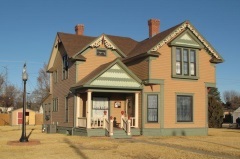 The William B. and Julia Washington House in Leoti was built in 1892 by Samuel A. Robison and his son Winfred (Fred) Robison of Wichita County. The Washington's arrived in Leoti in 1886, prior to the violent county-seat war of 1887 between residents of Leoti and Coronado. 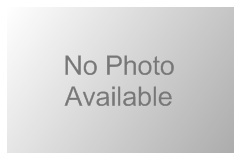 William served as the county attorney and established a law practice, where he worked until his death in 1934. His son Hershel continued the practice until his retirement in 1972. The Washington house, which was sold out of the family in 1943, is a late Victorian-era Queen Anne-style house with Free Classic elements. It is one of the best remaining examples of this style in Wichita County. The Wichita County Historical Society recently acquired the building and has rehabilitated it for tours and functions. It was nominated for its local significance in the area of architecture.